Wherever you are. Whatever your circumstances. How do you decide to experience joy in it? Today’s episode is different than any I’ve done before. I’m chatting with author, Mary Carver, about the lessons she learned from her friend, Sara Frankl (a.k.a., “Gitzen Girl”). For almost two decades, Sara endured a painful autoimmune disease, which eventually led to her death at the age of thirty-eight. She was confined to her condo for much of that time. And the life she had hoped for was never realized. But Sara’s ability to choose joy in the midst of all the suffering became contagious. Her decision to “live the best life with what she had in the moment” inspired others to do the same. 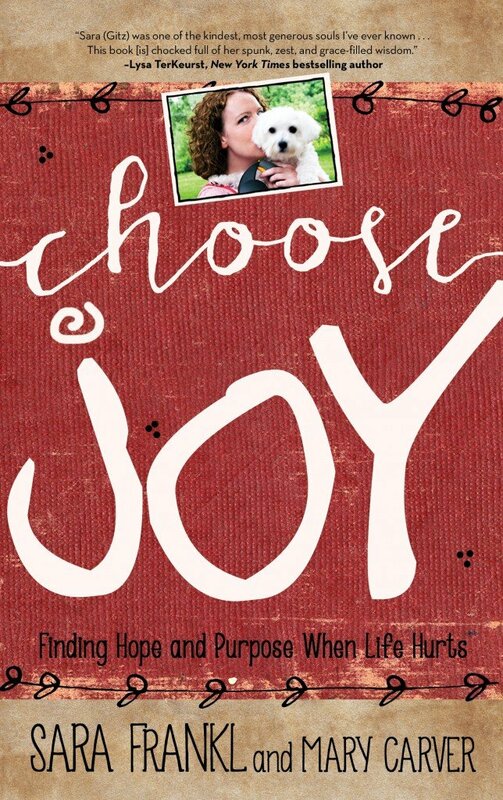 And now Sara’s story and thoughts carry on in “Choose Joy”, the book Mary co-authored. 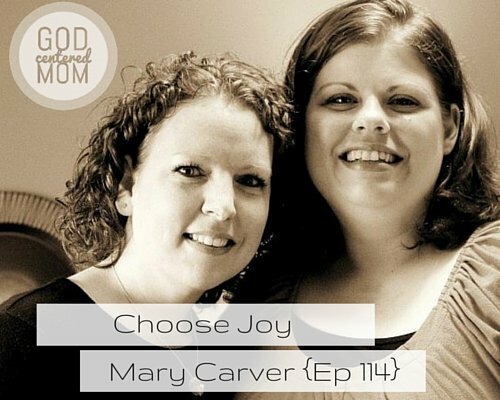 In this episode, Mary and I chat about Sara’s decision to not allow her confinement and pain to steal her joy. And all the lessons moms can apply from Sara’s journey. At the end of the episode, I share a few of my own thoughts on how having high expectations and fixating on flaws can lead to divisive relationships instead of loving ones. Who is Sara Frankl and how did Mary get to know her. Sara’s decision to choose joy, not in spite of circumstances, but because of them. The challenge when our expectations aren’t realized. The decision to live the best life with what we have and see the blessings. How friends can have lives that look different on the outside but similar struggles. How you can choose joy when you trust God implicitly. How to serve others from a confined place/bed. The value of giving someone your full attention–being present and “all in”. Lessons stay-at-home moms can learn from Sara. Thank you Amanda! God knew I needed to see your words of encouragement today. Thanks for taking time to write me! Heather this podcast was exactly what I needed right niw! I love how God does that! what that just made my day! thanks for letting me know, Kristina!